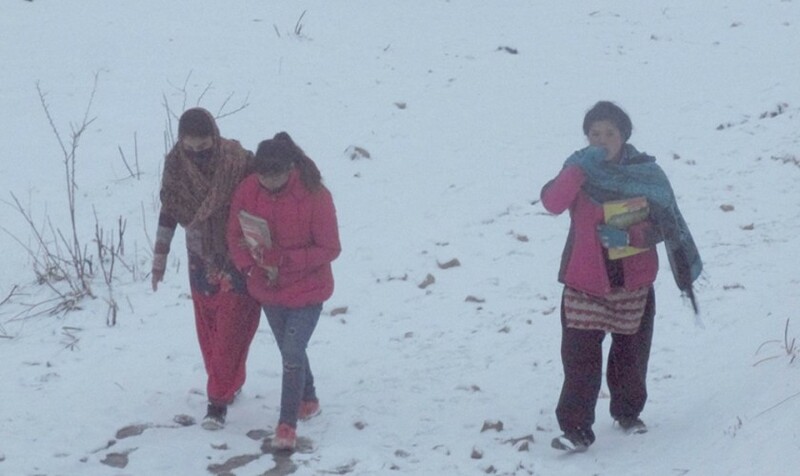 Humla–Snowfall has occurred here again in the second week of Chait, leading to a dip in temperature and causing problem to the students who are appearing in the Secondary Education Examination (SEE) that is underway. The weather has become cold after the snowfall in the district which lies in the mountainous region. Students sitting for the SEE especially at two exam centres in the district headquarters will be hardest-hit, examination superintendent at the Mansarovar Secondary School exam centre, Amar Bahadur Shahi, said. SEE started across the country from March 24 and would conclude on April 4. Nine hundred and fifty three students are taking SEE from Humla district this year. It had rained throughout the day in Humla on Monday and snowfall has started taking place since the morning today, increasing the cold. Snowfall is taking place in the upper reaches of the district while the lower parts and valleys are getting rainfall. Namkha rural municipality in the northern belt of the district has received heavy snowfall, the district police office said.